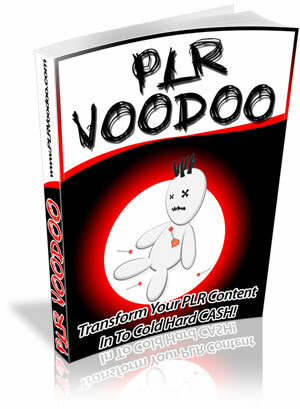 This PLR guide covers how to make money selling Private Label Rights to your content or products, as well as how to make money buying PLR rights to content and products. When to consider selling Resale Rights or Private Label Rights to your own product. I've had this guide on my hard drive for several months now and just read it over the weekend, as I mentioned - and I was really glad I did! PLR is really hot right now, so its a great time to get in on it and look at the different ways you can use it to make money online. I agree PLR has good potential to make money on both ends, from selling products/services with PLR or using other people’s products to custom brand your own. A lot of over seas factories are more then happy if you pay to custom brand their products with your logos, alibaba.com is a good place to look for products to have manufactured and custom made. Doing a study on viral market campaigns for Nouveau Riche University this is exactly the sort of information on options available to expand business online I was looking for. Using private label rights for gaining online interest seems a great idea, I plan on setting up my own business so might even use it one day. Great Ideas Here! I Struggled To Get Anything Done In The IM World For Quite Some Time Before I Discovered That Extreme Value Of PLR. PLR VooDoo Is A Great Read And I Highly Recocommend It For Anyone Wishing To Make Money Online.